Subaru of America announced their new Subaru Starlink Entertainment Anywhere kit that will save customers money on their infotainment system. The new 2019 Subaru Ascent will be the first Subaru to offer the in-vehicle WI-FI hotspot. What does it mean for Subaru customers? The new Starlink Entertainment Anywhere kit includes two 9.7-inch iPad 32GB Wi-Fi models, two Harman Kardon Bluetooth headphones, and two Otterbox Defender Series iPad cases all for $970. This is cheaper than purchasing a dual-headrest DVD entertainment system. It’s also cheaper than buying the items separately. The kit’s MSRP of $970 offers about $368 in savings by purchasing through Subaru versus paying retail for each component separately. There is a catch. The kit is only available either during or after the purchase or lease of a new Subaru. So, you can’t go in and buy the kit for your older Subaru vehicle. The other catch, is you will need to buy a new 2019 Subaru model to get it. The new Starlink Entertainment Anywhere kit is available to all Subaru customers, with the all-new 2019 Ascent SUV, being the first Subaru model to offer an in-vehicle WI-FI hotspot. Additional 2019 Subaru models will be WI-FI capable including the all-new 2019 Forester. The new kits will give families the ability to stay connected, engaged, and entertained while on the road. Subaru says, the OtterBox Defender Series iPad cases are designed for easy grip and durable protection, while Harman Kardon Bluetooth headphones deliver a premium audio experience. The only thing better, would be the ability to attach them to the back of the seat. Customers will be able to order the Starlink Entertainment Anywhere kit through their Subaru dealer, and it will be delivered to your home. 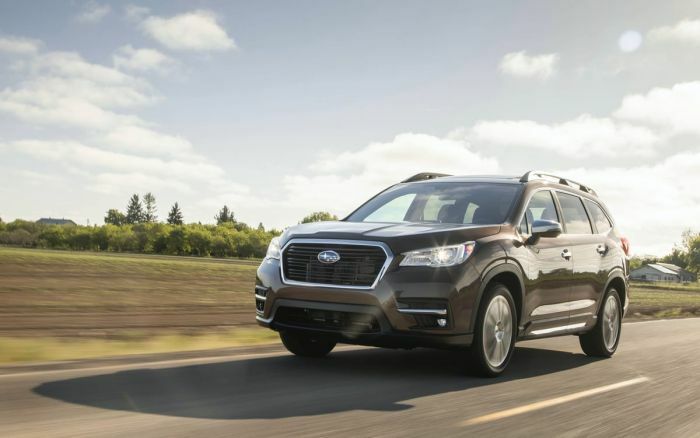 The all-new 2019 Subaru Ascent will be first to get in-vehicle WI-FI hotspot and other 2019 vehicles will also be WI-FI capable.